Winner Announcement - Ariel Is Laundry only a woman's job? Winner Announcement – Ariel Is Laundry only a woman’s job? Injustice, like charity, begins at home. The only difference being that injustice should never be tolerated at any point. So when BlogAdda presented the #IsLaundryOnlyAWomansJob in association with Ariel, women bloggers took up the cause and blogged about it during Phase 1. 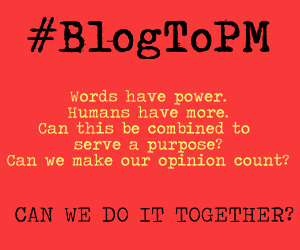 And now it’s our job to give you the happy news about the best bloggers in this activity! AC Nielsen conducted a survey for Ariel which threw up some startling statistics about household chores, especially laundry. These statistics came out of the survey report and got a life of their own through blog posts where you wrote about your own experiences when it came to the imbalance that exists when it comes to doing laundry in the house. We loved all the bittersweet, honest, imaginative and even funny blog posts that you wrote for this activity. Here are the 15 winners who win vouchers worth Rs. 1000! Click on the names to read their wonderful blog posts. 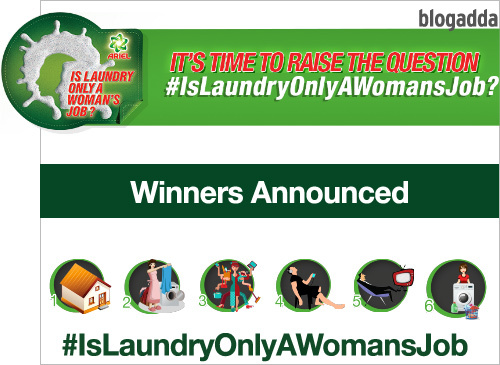 Congratulations to all the winners of Phase 1 of #IsLaundryOnlyAWomansJob! Thank you to all those who participated in the activity. 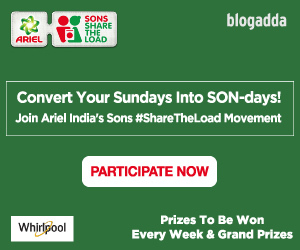 You can now participate in the #WashBucketChallenge and pledge to #ShareTheLoad. The best blog posts will win brand new Whirlpool automatic washing machines! Click here to participate. This announcement came as a pleasant surprise after an exhausting day at work. More so, because it forms for my FIRST EVER Win at BA! Thanks is now such a small word. So last night I was wondering where all the site traffic is coming from..Now I know! Thank you Blogadda! Super exciting and I loved writing about the topic! Yay! Thank you so much for choosing my entry! It is always awesome to win @ BlogAdda. Congratulations to all the winners! This s the first win at BlogAdda for me too…. Feeling so happy 🙂 Thankyou BlogAdda! !